This years tournament shirts are made with a 50/50 blend of Poly/Cotton. These shirts are soft, comfortable to wear and will help you stay cool and dry with their wicking properties. Delivery of t-shirts will be made at the tournament. Teams will be grouped together and the team manager should pick the shirts up at the fields. When submitting your order, please put your team name and age division in the NOTE/ADDITIONAL INFORMATION field. This will allow for team orders to be bundled for easier pickup and delivery. 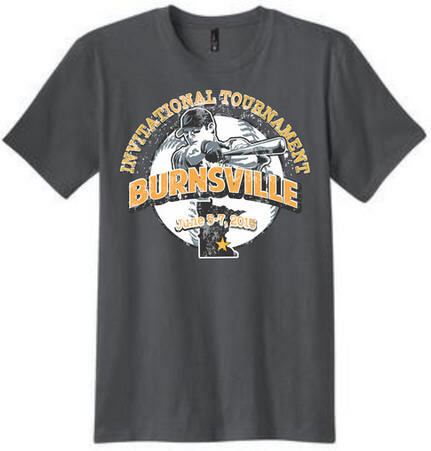 All team participating in this years Burnsville Invitational are represented on the back of the shirt in the shape of a catcher. 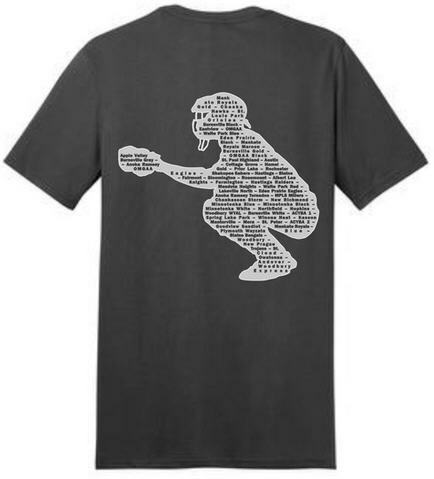 We all know catchers never get enough love and support, here is a great way to show your appreciation for the job they do.